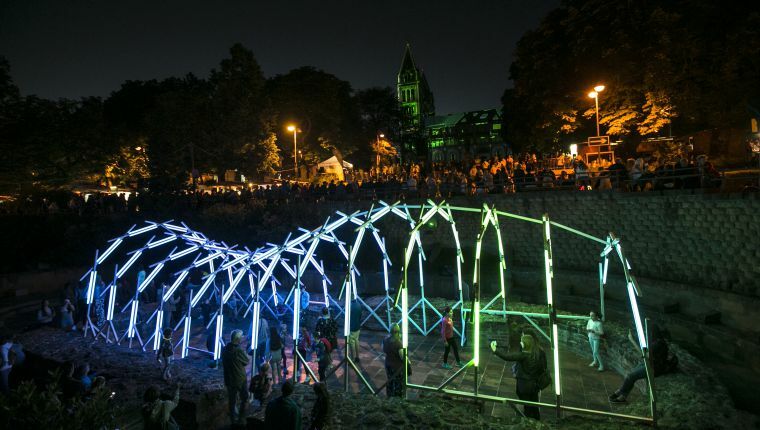 In mere three years, the Zsolnay Light Festival has grown to become one of the most attractive events in the country, and in 2019 we are awaiting our audience again in downtown Pécs from 27 to 30 June. Hungary's first and still only light festival was a huge success in 2018, boasting at least 75,000 visitors attending the event by cautious estimates. The organizers have been are preparing for this year's events with unchanged goals: the four-day festival is expected to keep its most important values, organically combining the world of light festivals with street art productions, concerts, theatre, and contemporary-circus performances. Light Festivals are extremely popular all over the world and as technology advances, they offer increasingly grandiose experience. This genre is still considered a novelty in the offerings of the festivals, and until 2016, the audience hungry for special enjoyment had not been able to meet it in Hungary. Zsolnay Heritage Management Non-Profit Ltd., the largest cultural-tourism organization in Pécs, has filled this gap by organizing the festival the fourth times this year. When, thanks to the latest technological innovations, the oldest historical and religious buildings receive a new light design, the overall effect is truly breath-taking. The afternoon programs begins with street-art performances and concerts, while in the evening eye-catching sights in transform the city centre, creating a world where your imagination will be your best guide, and your curiosity the best travel companion. With its freshness and forward-looking character, Zsolnay Light Festival continues to be a unique event in the offer of Hungarian festivals, and is considered an outstanding light festival even in European standards due to its multi-disciplinary, complex approach, characterized by melting several fellow arts within a single event. The festival is composed for downtown Pécs with its special Mediterranean atmosphere, its built cultural heritage, thus contributing to the popularising of the values listed by UNESCO as part of the World Heritage. 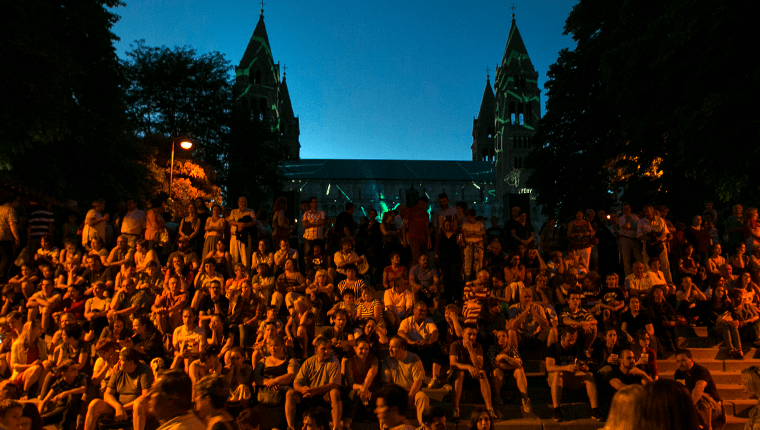 The main attraction of the festival is the Zsolnay Light Art Light Mapping Competition, where visitors can enjoy three-dimensional, moving light designs on the monumental facade of the Cathedral from Friday to Sunday. The extraordinary experience is guaranteed by, the festival's professional partner, the internationally acclaimed team of Glowing Bulbs. The earlier area of ​​the event is going to be expanded compared to last year, with more spectacular visual works projected on the most famous buildings of the downtown, and along 25 the exciting 25 hotspots of the Way of Light walking tour. “Fénybütykölde” - Arts and Crafts Worshop with Light is going to open its doors wide again awaiting all those who are willing to create their own light decorations, further enhancing the whirl of colours and experiences. Most of the festival is free of charge, but all those who want more experience can walk along the Way of Light Way featuring highlighted sites that can be visited by purchasing a festival wristband. Hungarian Festival Association – Qualified Event 2016. Hungarian Festival Association – Pál Beke award of excellence 2018. Pécs-Baranya Chamber of Commerce and Industry - Baranya County Tourism Award 2017.